This is the very popular Whacker plus in its mini size by request from many of KH customers. One improvement to the handle is the Nut-bolt invested making it more strong than the rivets. 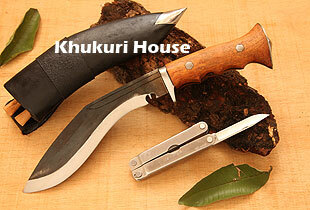 Your Super Mini Durable Khukuri blade.